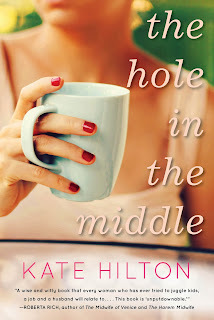 Please welcome Kate Hilton, author of the forthcoming novel A Hole in the Middle. Kate Hilton has worked in law, higher education, public relations, fundraising and publishing. She has an English degree from McGill University and a law degree from the University of Toronto. She holds down a day job, volunteers for community organizations, raises two boys, cooks, collects art, reads voraciously and likes her husband. In her free time, she writes. On good days, she thinks she might have it all. On bad days, she wants a nap. The Hole in the Middle is Kate’s first book. It is forthcoming from HarperCollins Canada in December 2013. Kate is represented by Beverley Slopen of the Beverley Slopen Literary Agency. 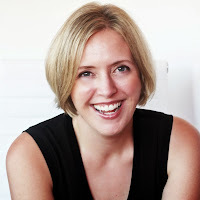 Join Kate on November 7th for BookBuzz Toronto where she will join ten other fabulous authors for bookish mix and mingle. Coffee, but only in latte form. Plotter. The absence of an outline gives me an anxiety attack. A smart, poignant and laugh-out-loud funny novel from a fresh new voice in women’s fiction. Sophie Whelan has it all – including a hideous boss, a distracted husband, daycare woes, problem employees and a 40th birthday on the horizon. Precariously close to slipping off of the treadmill that is her daily grind, Sophie is startled by the reappearance of Will Shannon, the great unresolved love of her life. As she relives the vivid drama of their college romance, Sophie confronts the choices she has made in life and in love and looks for the one answer that has always eluded her: what does she really want?